1. Use soda can tabs to hang extra clothes in your closet. 2. Organize your shoes with small tension rods. 3. Use over-the-door shoe organizer to store snacks. 4. Use a cork board to hang necklaces and other jewelry to keep them tangle-free. 5. Organize your monthly schedule with this DIY whiteboard calendar. 6. 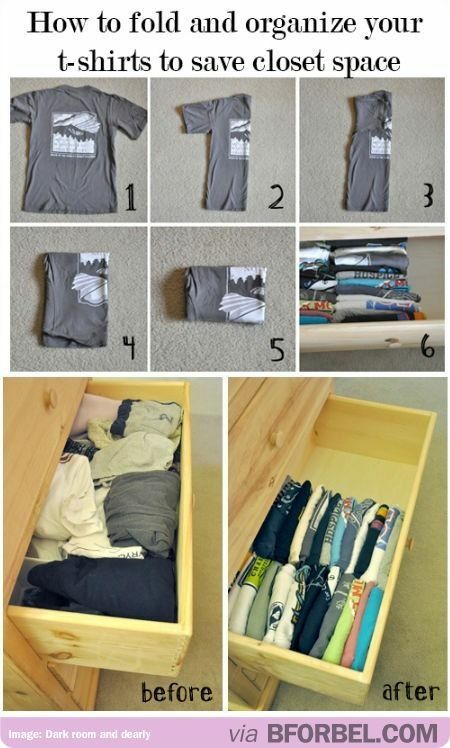 Make more space in your drawers by folding clothes correctly. 7. Organize your drawers with these DIY dividers made from cereal boxes.